South West Hospital and Health Service. 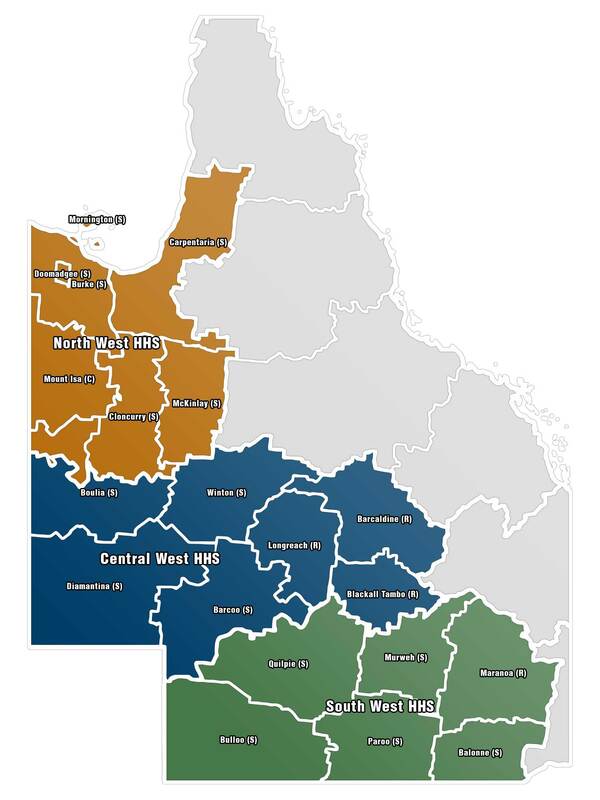 The three western Queensland state Hospital and Health Services (HHSs) jointly designed the WQPHN as a new organisation to maximise the real opportunities afforded from the Commonwealth’s new Primary Health Network (PHN) approach. The 3 HHS Boards are committed to supporting the new WQPHN and see significant opportunity to improve the integration and coordination of primary care services. They are joined in this determination by key interested parties across the region. The composition of the WQPHN Board is a clear demonstration of the commitment of private GPs and Indigenous partners to work with the HHSs to overcome entrenched barriers to patient-centred care and improve health outcomes across the region. One of the primary motivations is to ensure that there is real engagement between primary care providers and the three HHSs that operate across the region. This model represents an innovative way to bring together the parts of the Australian health system where the separated and fragmented funding streams seriously disadvantage small rural communities.